Fort Lee is a peaceful city in the state of New Jersey. 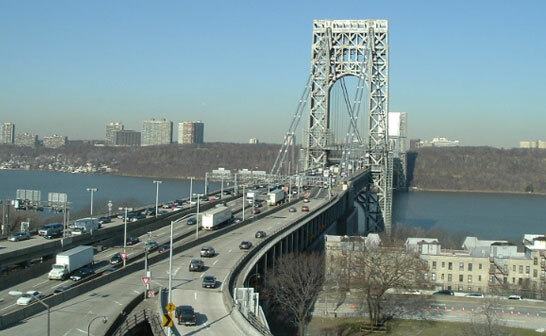 The interesting thing about this city is that the George Washington Bridge crosses the Hudson River between Fort Lee and Upper Manhattan, forming a part of Interstate Highway I-95. People who live here usually enjoy various attractions such as natural parks, museums and much more. Hirdco is a premium fire extinguisher manufacturer in the region that offers an array of fire equipment for home and business applications to ensure people in Fort Lee can prevent the adverse effects of unwanted fires. With years of experience in the fire protection industry, we provide complete project assessments, cost budgeting and accurate cost estimates for all fire equipment. Along with this, we design and draw custom fire suppression systems such as building fire alarm systems and much more. We can specify and deliver the cut sheets for the architectural fire extinguishers and fire hose cabinets. The best part is that all this equipment is offered at very affordable prices. Our company has in-depth knowledge and rich experience in protecting and guarding against fire and fire hazards. To update yourself with more information regarding our services, deals, terms and conditions, visit our website. William Hird & Co., Inc.